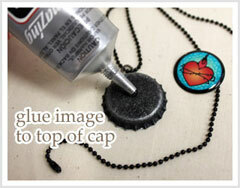 Gather your supplies and follow this quick Bottle Cap Necklace Photo Tutorial featuring our Distressed Black Bottle Caps. 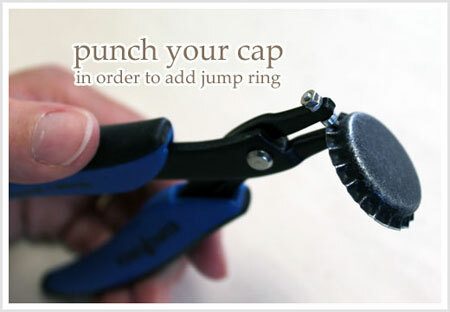 Unless you'd like to add an image to the top of your cap! If so, read on! 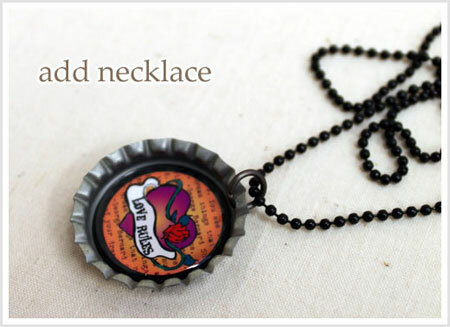 We'll make the necklace into a two sided bottle cap necklace. 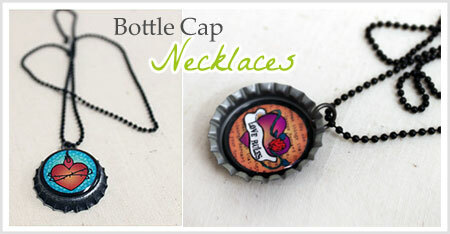 Adding an image to the top of your bottle cap. Keep scrolling for some pictures, tips and inspiration! 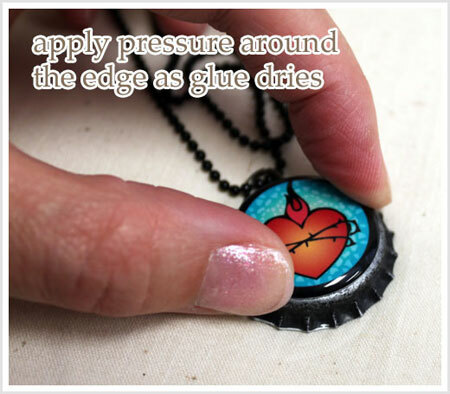 After gluing an image to the TOP of the bottle cap lay the bottle cap on a flat surface and press around the edges as the glue dries. 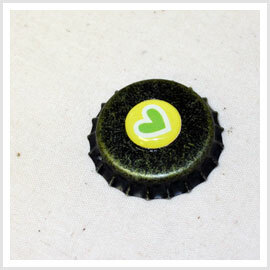 Bottle caps are ever so slightly curved near the edges and this will form the epoxy dot to this curve. 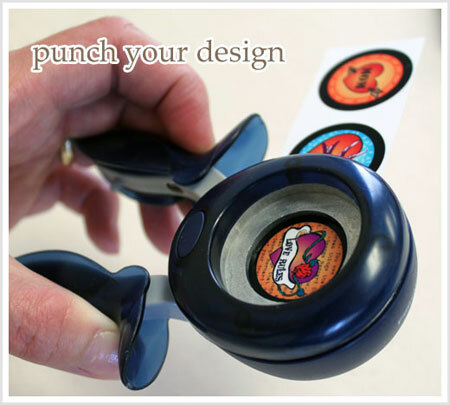 When printing an image to adhere to the TOP of a bottle cap choose lighter weight photo paper with a gloss, semi gloss or matte finish. 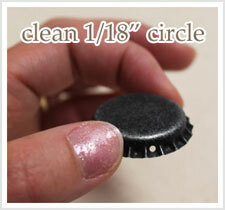 The thinner paper will give less resistence in adhering to the slight dome towards the edge of the bottle cap. 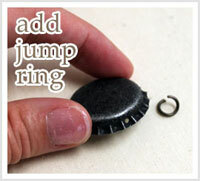 Use a split ring instead of a jump ring for making children's jewelry pendants as they allow for more wear and tear. Rub a colored alchohol ink on the surface of a distressed black bottle cap to give it a unique look with some dimension. Kind of like those colored acid washed jeans that I used to wear in Junior High!?! If you'd like to shorten your ball chain necklace just get some scissors and clip it to the desired length. 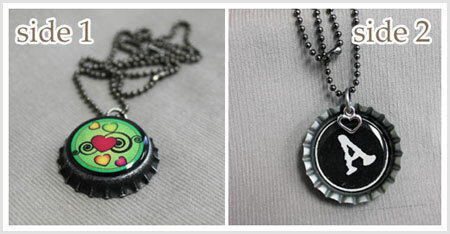 Another 2 sided necklace plus add a small silver charm! 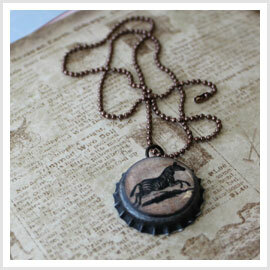 Use the distressed black cap and Steam Punk 1 images to create a bottle cap necklace with steam punk style. 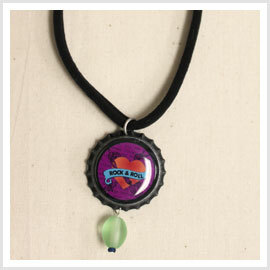 Bottle Cap nylon choker necklace with glass bead charm. More charms! 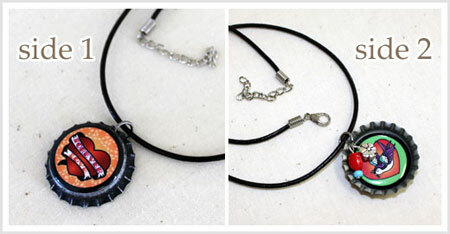 Two sided bottle cap necklace with leather necklace and beaded charms. Cute! 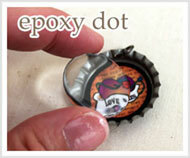 Glue a mini image to the top and cover with an epoxy dot. Make an up style pin or embellish your paper craft creations. Do you have another idea? Share it! Questions, comments ... we love to hear them! Post a comment below or email us a photo. Thanks! That's a great suggestion! We're working on it. 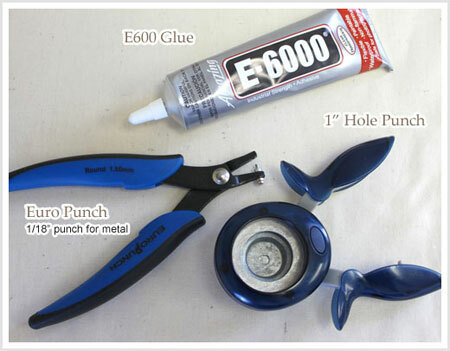 Could you make a picture tuyorial on how to use the tool to attach the split rings? No directions came with it. Thanks. Yes, thank you for asking. I will make a picture tutorial this week about how to use the split ring tool. 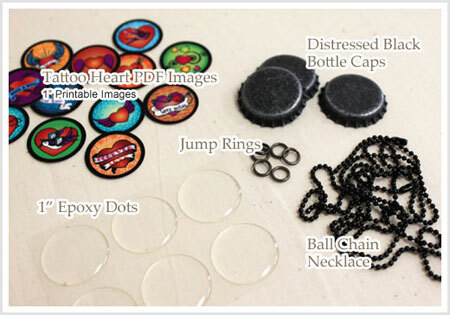 Are you going to start selling the little bead charms or any other embellishments for the necklaces? Yes! We're working on it, researching and planning. We don't know exactly when yet but it is in the works! Thanks for asking. Hi Wende! I just finished a craft show yesterday and the necklaces sold out. I'm curious about one thing. I want to make them interchangable with magnets, but the only tutorials I'm finding are for children's stretchy necklaces. How would I make them interchangable and keep them on the ball and chain necklace? Thank you for your help! My images printed on photo paper keep bleeding once the image has set for a few hours. I have put modge podge on the back of the image to seal it, but it may be reacting to the e9000. 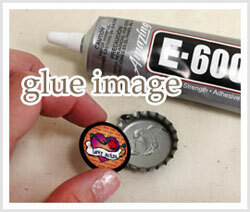 Any suggestions on how to glue the image to the bottlecap and keep the image from bleeding. I am using the expoy dots and not resin.